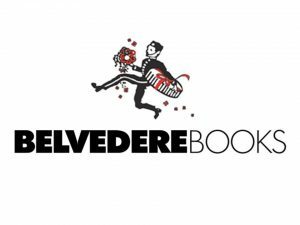 Home Exhibitors BELVEDERE BOOKS INC.
Belvedere Books is an Italian publishing company of creative, visual design and idea books. Our design books are useful for fashion, textiles, prints and decoration. Lace, embroidery, cashmere, paisleys, damasks, ornaments, checks, stripes, florals, folk and ethnic, graphic, geometric and digital motifs are some of our specialties. Company designs and practical reference materials are available as printed book versions and, in most cases, digital media, included as free CDs or DVD-ROM. All patterns are license-free and ready for immediate use. Belvedere Books offer more than 300 publications, which are “Made in Italy” at our own manufacturing and production facilities. All books are available and shown at international textile fairs and exhibitions, through special agents or directly from the webshop: www.belvedere-books.com. You wish to request an appointment with the brand « BELVEDERE BOOKS INC. ».